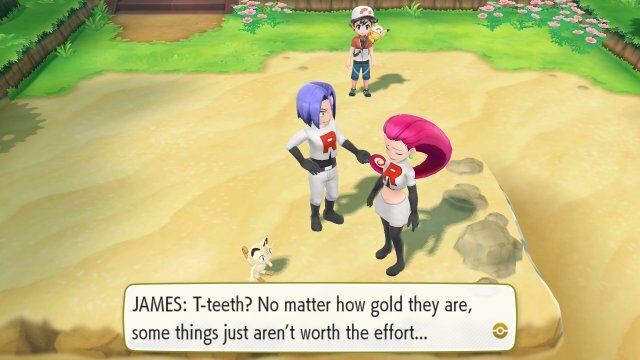 The first encounter with Team Rocket is a very minor one. 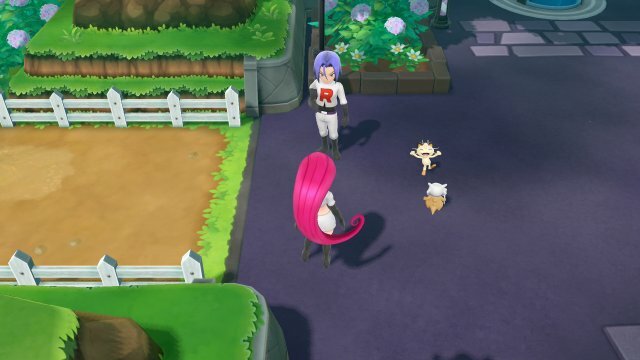 When you first reach Viridian City, you'll find the Team Rocket trio of Jessie, James and Meowth blocking the road. They don't battle but say they are on guard duty to keep watch. 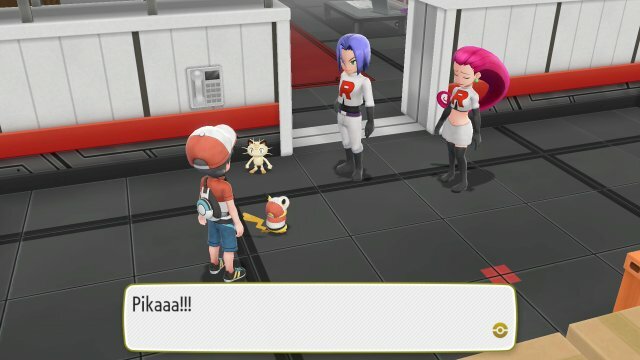 Another encounter with Team Rocket is in Route 24. 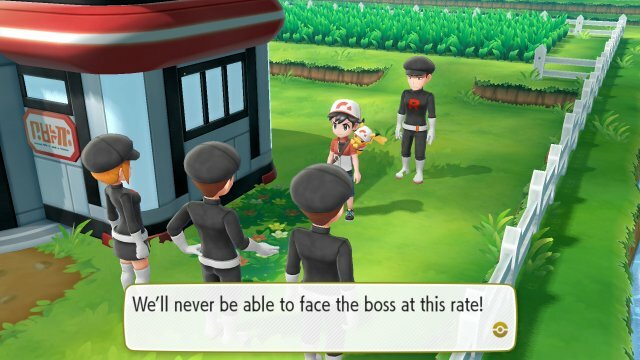 After beating the trainers on Nugget Bridge, the final person will ask if you want to join Team Rocket, and then will challenge you. The next encounter with Team Rocket is in Cerulean City. After visiting Bill and beating Misty, you can go into a house. This house has been completely trashed by people looking for things. When you exit the house, you find out that a Team Rocket grunt is responsible. This grunt will then challenge you. Defeat him and he'll return TM10, Dig, to you. 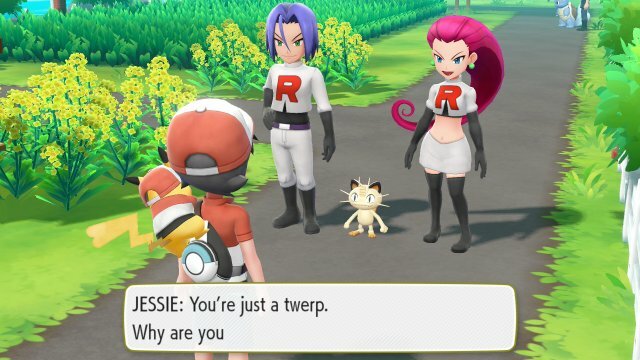 When you reach Route 10, you'll get accosted by several Team Rocket Grunts who are angry about how they were humiliated within Mt. Moon, stating that they can't face the boss due to it. As a large group, they will start to attack until the Elite Four member Lorelei steps in. She takes three of the grunts on, leaving just one more to take out. After going through the Pokémon Tower and encountering the ghost that exiles you from the Pokémon Tower, you will encounter Jessie & James. They had been sent to Lavender Town in order to look for Mr. Fuji. The only place they can think of is the Pokémon Tower but they got sent back by the ghost. Due to the ghost scaring Cubone, who is looking for its mother, Team Rocket convince Cubone that its mother is in Celadon City so they return to Celadon City to go to their hideout in the Celadon City Game Corner. When in Celadon City, you'll encounter several Team Rocket Grunts. 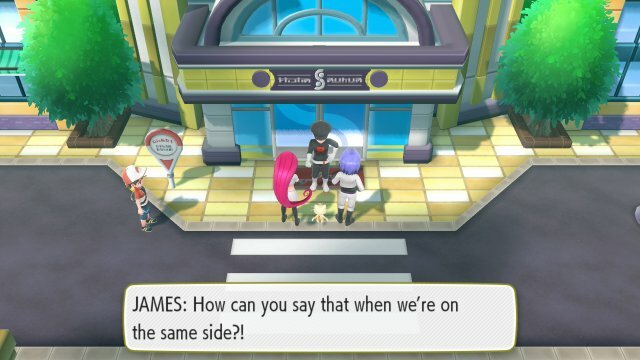 Inside the Game Corner, Jessie & James can be found on one of the game machines explaining how they get into the secret hideout to eachother. Interact with a poster, guarded by a Grunt that needs to be defeated, to gain access to the Rocket Hideout. Inside the Rocket Hideout, there are numerous grunts to have to defeat and tile puzzle mazes to navigate. As progress is made, in an attempt to find the Lift Key to gain access to the final area. 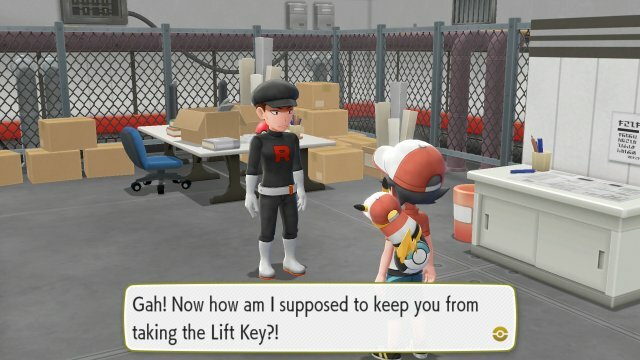 However, when the Team Rocket Grunt with the Lift Key is defeated, they throw the Lift Key onto a railing over the walls requiring a puzzle to be completed where access to an air vent is made. This then has the player control Pikachu or Eevee in a small section to get the Lift Key to return to the trainer. 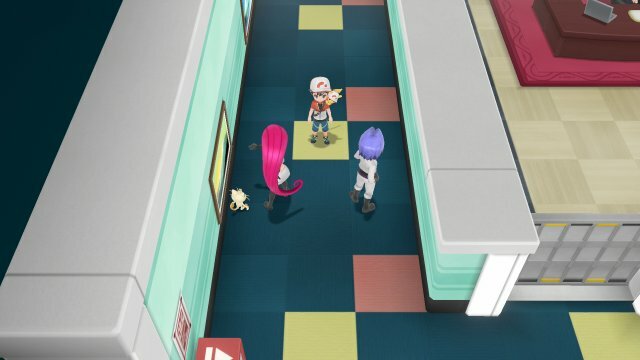 Once the Lift Key is obtained and access to the bottom floor is made, Jessie and James intercept before accessing the boss's room and challenge to a battle! Once Jessie & James are defeated and progress is made, the next Team Rocket member encountered is the Team Rocket Admin, Archer. He is discussing with his boss that the technology from Silph Co., including the Silph Scope, will help Team Rocket to achieve their goals. The boss suggests Archer proceed with a plan to take over Silph Co., but when he leaves, he spots you. Angry that his conversation was eavesdropped, he challenges to a battle. When defeated, the boss then says that he is impressed at your progress. He introduces himself and is amused that the hideout was infiltrated just to release the Cubone. To punish for your insolence, he challenges you to a battle. Once defeated, he gives the Silph Scope and states that you'll meet again. Cubone then returns to Lavender Town. With the Silph Scope, the ghost in Lavender Town can now be bypassed. The ghost was Cubone's passed mother, who had passed after an attack by Team Rocket. Now being able to pass, jessie & James can be found on the top floor of Pokémon Tower, accosting Mr. Fuji. Stating their intent to force Mr. Fuji to work for Team Rocket, they insist you disappear or prepare to fight. Defeat them and they will mention about going to help with the take over of Silph Co. When arriving at Silph Co., you see Jessie & James outside. At first, they're not allowed in but they force their way in past a grunt. When you follow in, you meet your Rival and Blue. They have joined you to take on Team Rocket. Blue recommends that you and the rival take on Team Rocket in Silph Co. while he goes through Kanto taking care of any further Team Rocket Grunts. In Silph Co., you need to navigate 11 floors of Team Rocket Grunts, using warp tiles to navigate around various closed rooms. 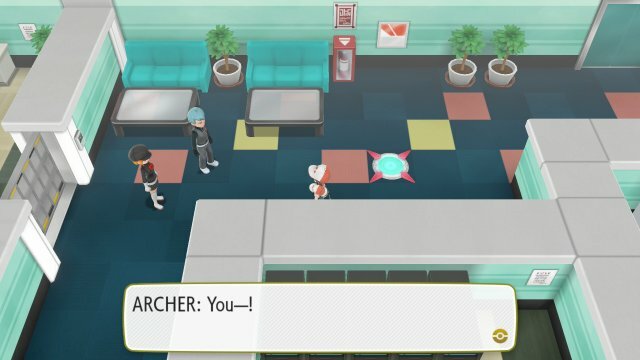 Eventually, you'll encounter a Team Rocket Grunt and the Team Rocket Admin Archer on 5F. They will challenge you to a battle where your rival joins in as a Multi Battle, with your rival having adopted the Cubone that Team Rocket had stolen before. Once defeated, the Grunt will give you the Card Key, which allows for you to open all the doors in Silph Co., allowing for more freereign in an attempt to get to 11F and stop the takeover. 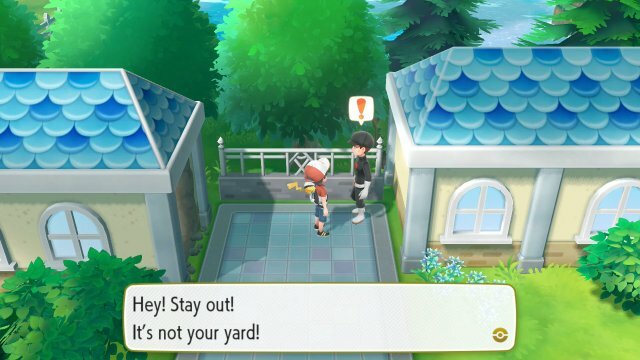 When you reach 11F, before you can reach the Silph Co. President's office, Jessie & James will stop you and once again challenge you to a battle to stop you as they don't want you to disturb their boss. After they have been defeated, then you can go into the President's office. 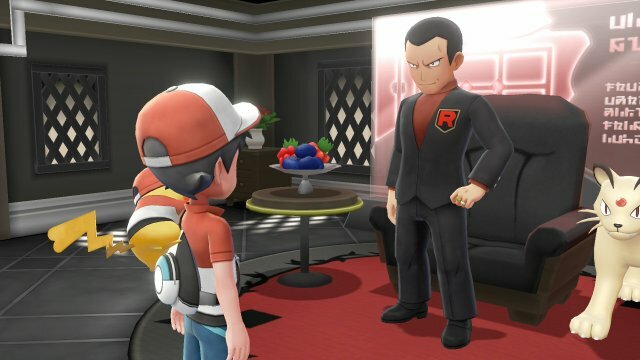 In the office, Giovanni will be insisting the Silph Co. president hand over the Master Ball and get ready to make more so Team Rocket can do what they need to do, but the President remains steadfast in not helping them, saying that they won't help someone like him and that creating Pokémon using stolen research is wrong. 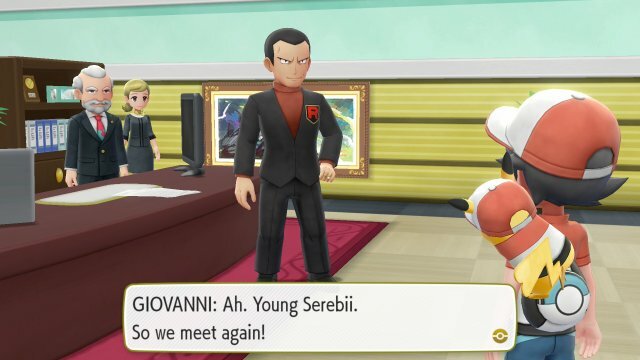 Giovanni goes to threaten the president's employees when Giovanni notices you. He insists you stay out of it and challenges you to a battle. 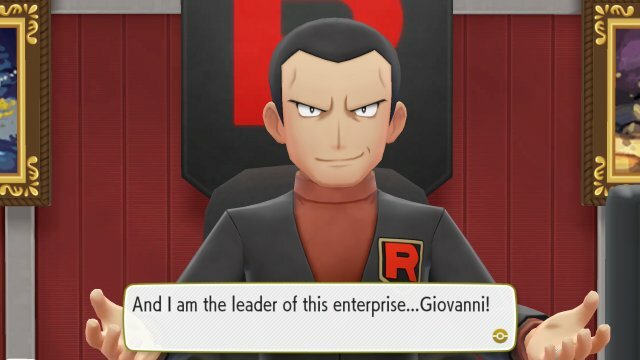 When defeated, Giovanni states Team Rocket will never stop and that Pokémon exist to serve their purposes, but he relinquishes Silph Co. control. The president then thanks you and gives you the Master Ball. In a change to previous games, the next encounter is with Jessie and James in Route 19. 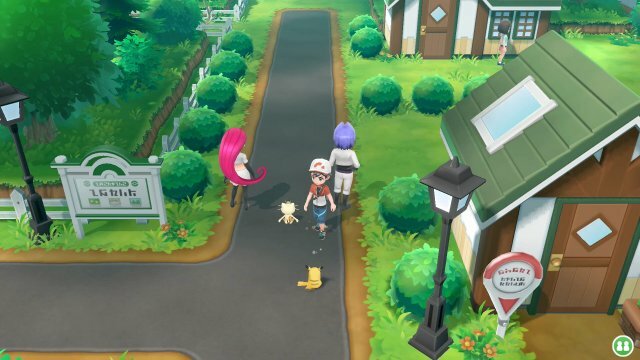 They came to the area to look for rare Pokémon by GO Park, but due to the complexity of App connectivity, they decided to just leave it. They then muse about finding a get-rich quick scheme and start looking for treasure after spotting something in the sand. They uncover the GO Park Warden's Gold Teeth. As they're teeth, they decide they're not worth the effort and give them over before rushing off. When you defeat him, he'll hand over the Earth Badge and give you TM41 Earthquake. Due to his defeat, he declares that he can no longer face his followers and fully disbands Team Rocket, swearing to dedicate his life to Pokémon training. With the Elite Four beaten and Team Rocket disbanded, the next encounter is in the bottom of the Rocket Hideout in Celadon City. Back in Giovanni's room, you willfind Archer. 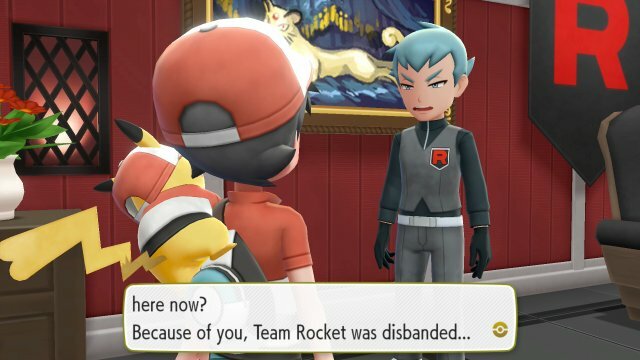 He will ask what you're doing there considering Team Rocket is disbanded, and challenges you to a battle to show you how he felt. 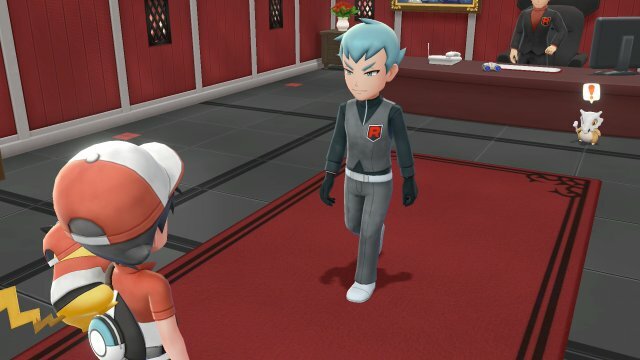 Defeat him and he'll read a letter saying he holds no grudges towards you and states his intention to leave Kanto and use the defeat as a springboard to set up an even stronger Team Rocket. He'll then tear up the letter and leave. 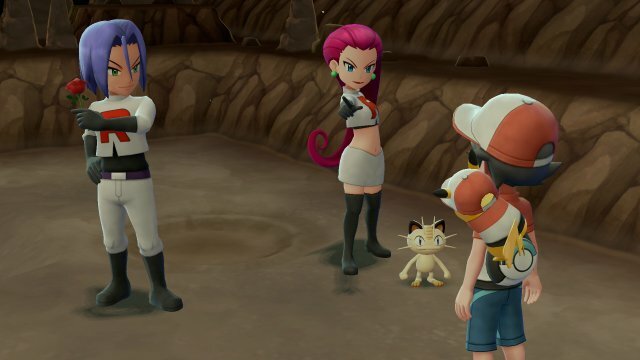 Once again with Team Rocket defeated and the Elite Four beaten, you can find Jessie and James in Route 17. They question what will happen with Team Rocket and Jessie states that Giovanni is in hiding but must be preparing for the next scheme. When they notice you eavesdropping, they challenge you to a battle one final time. 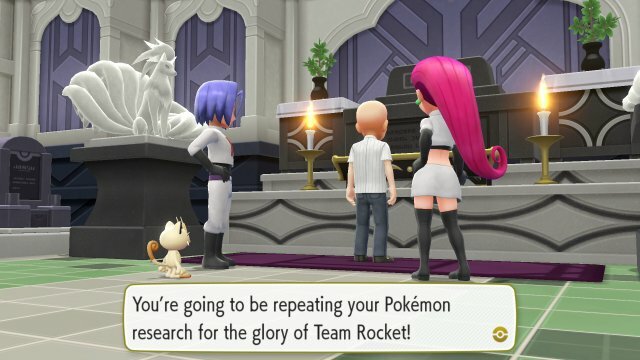 After being defeated, they once again offer you the chance to join Team Rocket. When you answer, they accept it but say if you change your mind, you can have a uniform and give you the Blast-off Set. They'll then leave.